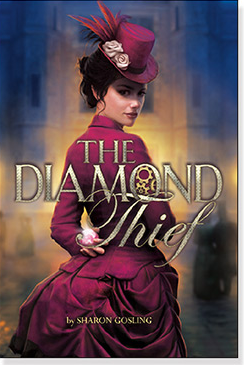 I've said before that I have a weakness for a good thief story and so it comes as no surprise that I was immediately attracted to The Diamond Thief. The fact that it was also set in Victorian London with a steam punk/fantasy twist had me hooked almost before I began reading it. And after I finished it I loved it even more. I really enjoyed the story, it could have gone many different ways and still been wonderful, but I like the direction Sharon Gosling took it in. I really enjoyed the sprinkle of both steam punk and a little bit of fantasy into the story. There were so many mysteries dotted through the story I had fun wondering which would tie into what and how everything would turn out. There were a few moments where I wondered why a character was brought in so suddenly or how someone could have possibly survived a few of the more crazy situations but overall I really enjoyed the story. The characters were all very fun to get to know as well. I really enjoyed Rémy's fiery attitude and Thaddeus was absolutely charming with his always do the right thing attitude. I also really enjoyed the other characters especially J and Desai. J was endearing while Desai had a mysterious charm to him that I'd love to see more of in the next book. The only character who really bothered me was the Professor, his personality seemed to shift a little too often for me. Another thing I loved about this book was the dialog and syntax. Many times when I'm reading everyone sounds the same when they speak. This was not the case in the Diamond Thief. The cast of characters were from many different places and walks of life and the way they spoke reflected that. This aspect of the book was one of the charms that really made me like it. There were a few plot holes and many things that seemed too easy or coincidental through this book. Despite that I really enjoyed reading this book and I am eager to see the next one. I hope that the holes in this book will be fixed in the next book and I am eager to read The Ruby Airship. I see a lot of potential in Sharon Gosling and I hope to see more from her. I would recommend this book to teens about 14+. 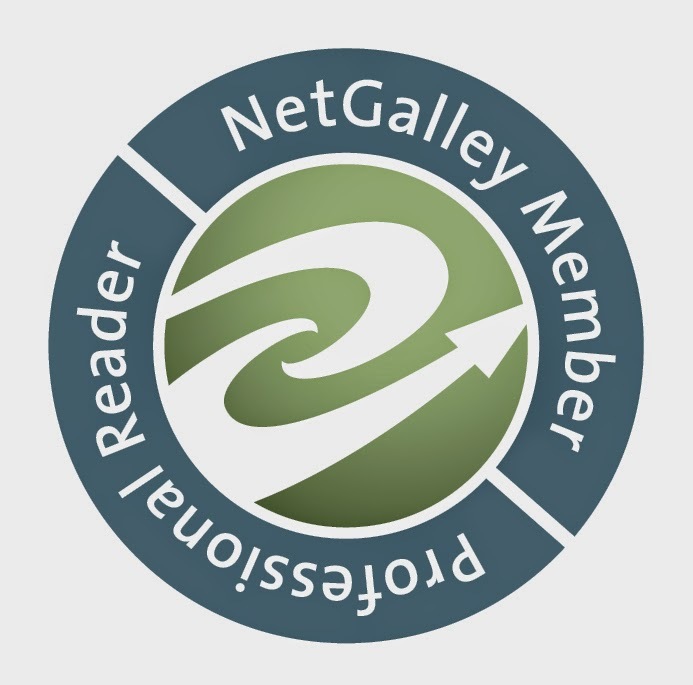 mostly because there is a little coarse language in the book but it is infrequent and very mild when used. 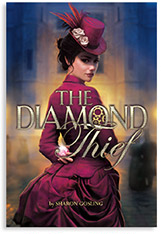 Anyone looking for a light read, a steam punk adventure, a Victorian era book, or even a little romance should take a look at The Diamond Thief.